The last movie directed by Hayao Miyazaki – A late masterpiece about an airplane-engineer (Jiro) in the thirties in Japan. We take a look on the different facial expressions of Jiro’s face and the beautiful backgrounds from the movie. First Trailer of Studio Ghibli’s new movie „When Marnie Was There“ and a revealing article about the ‚post-miyazaki-era‘ and the future of Studio Ghibli. 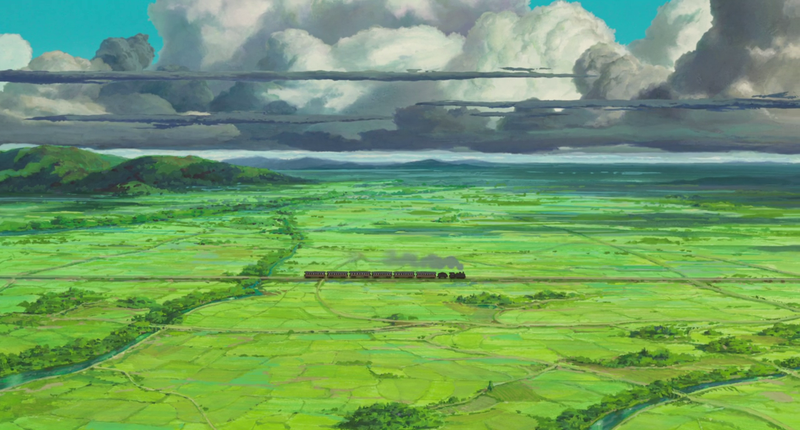 Check out the great backgrounds from Kazuo Oga. I’m also curious about the latest (and unfortunately the last) movie of Hayao Miyazaki „The Wind Rises“.